gas booster and so on. a. 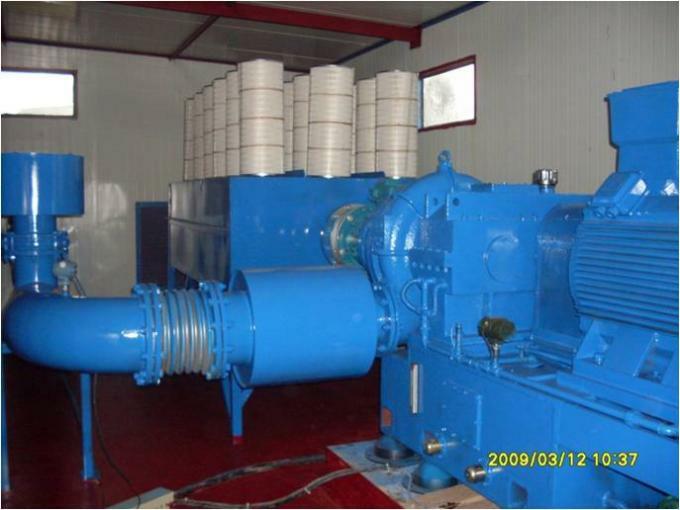 For Cement industry: cement conveying blower,ventilating, etc. b. 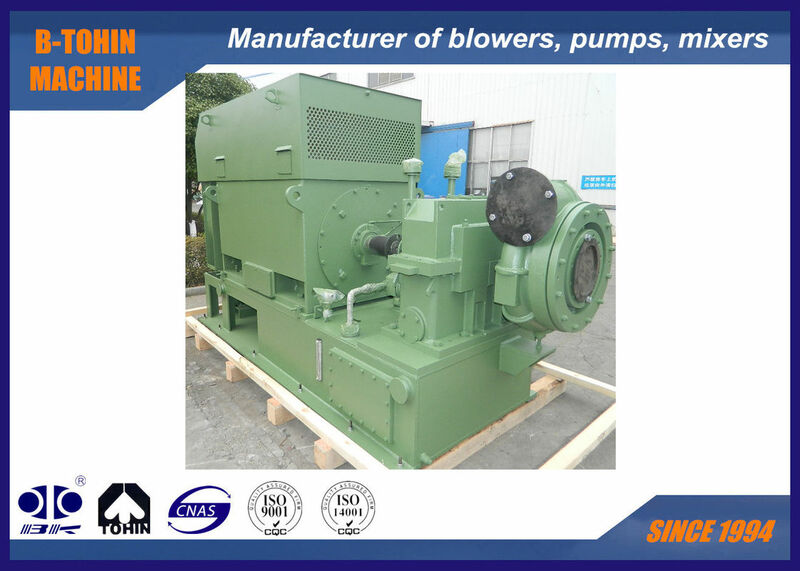 For Sewage Treatment System: aeration blower, back-washing blower, etc. c. For Pneumatic Conveying: to conveying powder materials, such as flour, cement, sand, grain, etc. d. For Dust Collecting, dust cleaning, ventilation in some factory, hospital, buildings, etc. 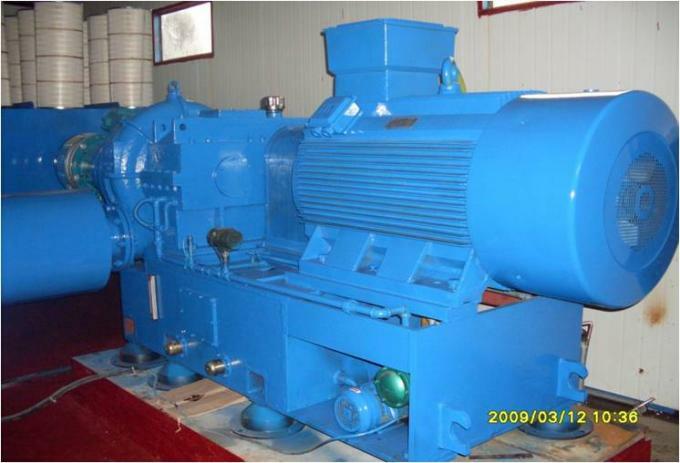 e. For Electric Power Plant: gas conveying, oxygen increasing, ventilating, dust cleaning, etc. 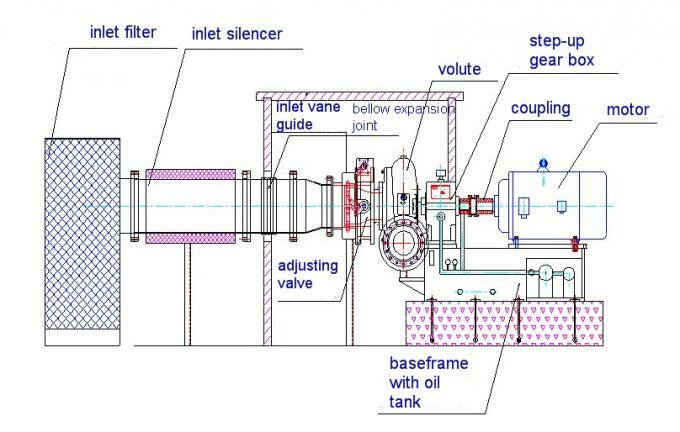 Function——Not only for adjusting the blower capacity within 45% - 100%, but also for ensuring the blower to reach the highest efficiency within adjusting scope, especially when operation parameters deviating from the designed data (low temperature or low pressure). Adjusting——automatic or manual operation by clicking the touch screen on blower control box. 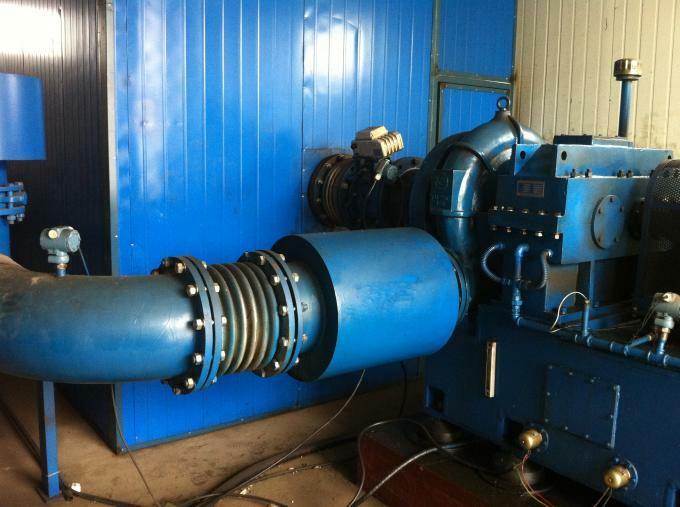 Under the automatic operation, the inlet guide vane is adjusted by electric operator at a set ratio after it receives 4-20mA DC signal, while under manual operation or maintenance condition, the vane is adjusted manually. Reliable pneumatic performance, high efficiency, multi-variable efficiency of 85 %. The curve for the impeller is selected recurring to simulate working condition on computer, and better fitting for the actual flowage of gas. Made of aerial aluminum alloy or stainless steel, open path backward bent (smallest dip angle of 6 degree), surface fine machined. 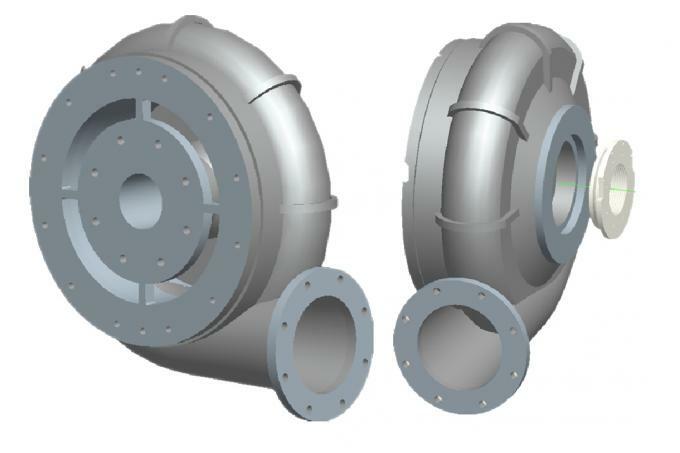 The gear box is of horizontal –split structure, volute casing connected to lower casing and separated from upper casing,through which shorten the time required for unloading box cover. 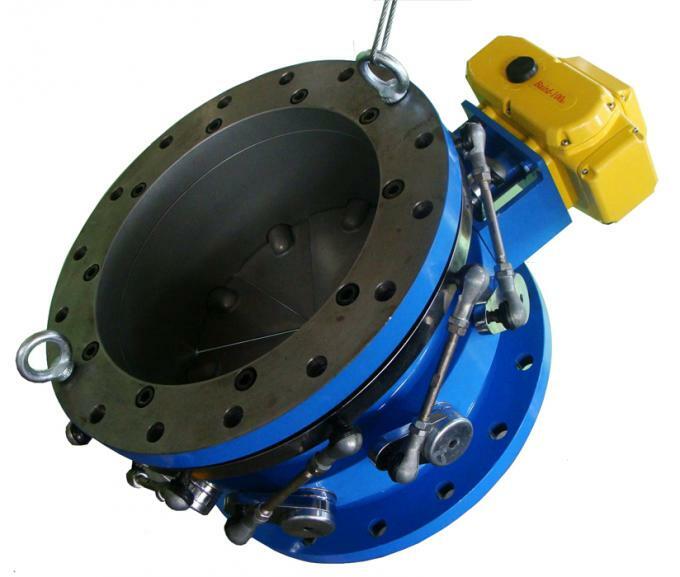 High-speed shaft adopts hard thrust disc technology, high-efficiency and low mechanical loss confirmed by line contact. Ellipse ( dislocation ) bearing adopted for big gear,tilting-pad bearing for high-speed gear. 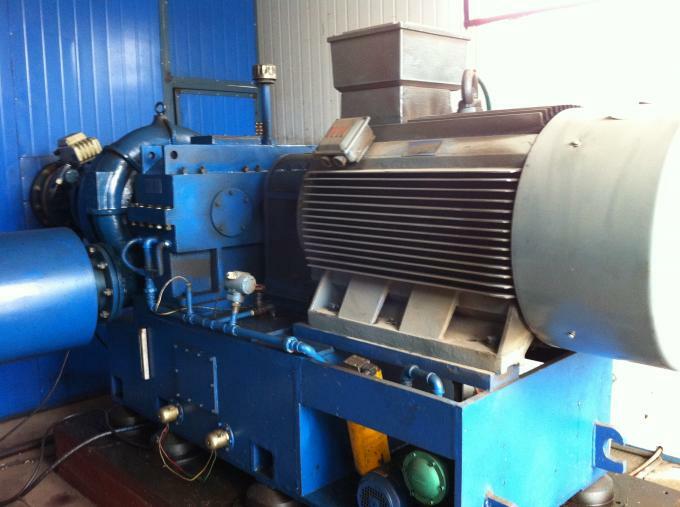 The shaft of blower and gear is made of heat-treated forging steel and proper grinded. Every horizontal critical speed is within the scope of±15% than the normal speed, and torsion resonance speed is within the scope of±10% than the running speed, all rotating parts is dynamic balanced. 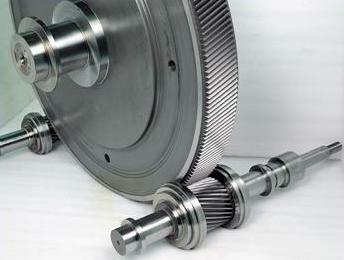 The step-up gear is of Parallel Axis helical type with integral small gear and rotating shaft. Made of surface-quenching forging alloy steel and precisely grinded, the gear’s service index is 1.8 at least. The highest precision grade can reach 3. The highest power can be transferred reaches 3,000 kW. The most Striking feature of GS blower is energy efficiency.